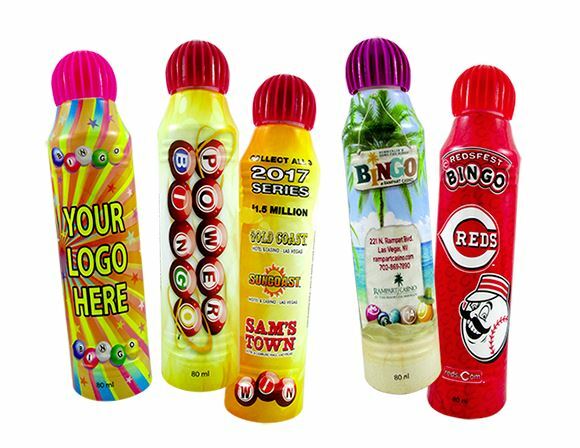 Beautiful, Full color, Full length custom sleeves offer another option to advertise, promote, and increase sales for pennies per bottle. 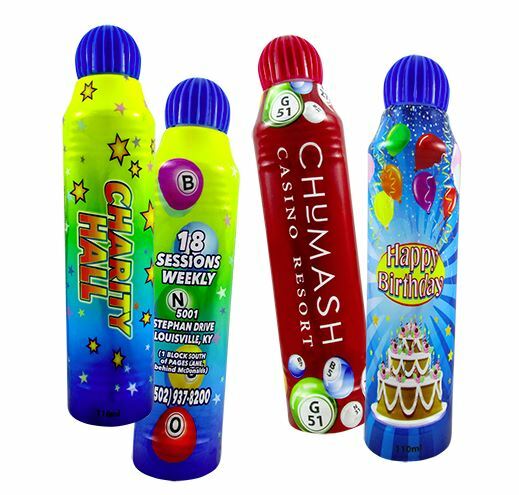 Custom Sleeves are available on 80ml and 110ml Dab-O-Ink Bingo Markers. Our Small Quantity Custom label program offers beautiful full color labels to advertise, promote and increase sales. A quick turnaround time and pennies per label make this program the right choice for your customers. Custom labeled ink is packed 6 dozen per case. Please contact us for pricing and production schedules.